Fiji is an archipelago, an island country consist of some 330 islands and over 500 islets in the South Pacific Ocean, situated halfway between North America and Asia. This is a haven for conservationist and for those who wants to be one with nature. The place offers no dull moment as there’s a lot of activities to choose from especially for water babies that has an adventurous soul. From snorkelling to scuba diving, fishing, island hopping, and trekking, name it and you can find it. Suva is the capital of Fiji, it is the largest city which is highly dynamic and immensely multiracial regional centres. It has a mix of culture, sports and outdoor recreation. It has plenty of malls and chain stores, but the best and huge range of goods are offered in the local market. There’s no need to worry about accommodation as they provide a decent lodging for its guest. As the country is developing, a huge number of business possibility is open for local and international market. 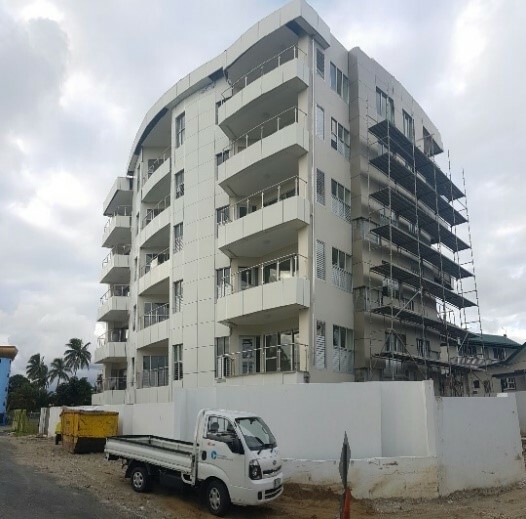 A door of opportunity was opened to Zhaplin when one builder introduced Ximula wardrobe for their 5-storey residential development project in Berry Road, Suva. It has 6 types with a total of 12 units. Wardrobes or closets are integral part of architectural structure. But redefining the conventional type of design gave additional character to the wardrobe proposal. Space limitation was always a big factor that determines the likelihood of design. It is only right to say that small spaces should not limit you to explore the possibility of creating good design which gives you the permission to convert and maximize your area and resources at hand freely. Designed for refinement and made for a purpose, Ximula gave them the liberty to make each sectional space more practical and functional while been presented in style and elegant. 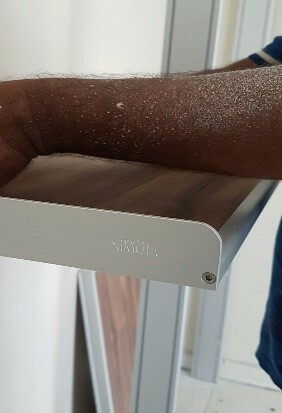 Mock-up has been set-up and our client check on the details in Singapore before we ship everything over. All drawings, quotation, and other necessary documents were approved. Fabrication commenced and ended smoothly. One Project Manager and installation supervisor were sent to Fiji to teach and guide the local workers for installation. Commitment to deliver and finish the work on time with quality and perfection resulting to client satisfaction and trust is always the priority of Zhaplin. But struggle is real as they say it! Actual site condition and drawings has discrepancy in size. But the flexibility of Ximula system together with the technical expertise of the team offer solutions to the problems. Our team made sure that all issues were resolved and there’s no more setback before they left. It was indeed a good experience for Ximula team to face difficulties on a foreign land. Zhaplin takes pride not only on the brand and product but also on its people. The skills that was honed through time and the dedication of each individual to the company are beyond comparable. After completion of the work, the team came back to Singapore with a fulfilled heart. Gaining new experience, winning new friends, and bringing more job opportunities was the result of Zhaplin’s professionalism and commitment.